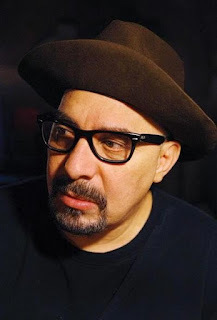 The Township of Scotch Plains, NJ has announced the first in a series of events to honor their native son, the late Pat DiNizio of the Smithereens. Scotch Plains, which is just to the south west of New York City, was DiNizio's home throughout his childhood including graduating from Scotch Plains-Farnwood High School. On Monday (March 26), the Smithereens posted a statement from the town announcing the renaming of the corner of Montague Avenue and Westfield Avenue in DiNizio's name. A ceremony will be held on Tuesday, April 17 beginning at 5:30 PM. DiNizio, along with Jim Babjak, Mike Mesaros and Dennis Diken, formed the Smithereens in 1980. Over the course of their career, they released over a dozen albums with Pat putting out four of his own solo discs. Pat fell in 2015 and suffered a number of ongoing medical issues that ultimately led to his death on December 12, 2017. THE OFFICIAL ANNOUNCEMENT FROM THE TOWNSHIP OF SCOTCH PLAINS. The Township of Scotch Plains invites residents and fans to the first of several events honoring native son Pat DiNizio. On Tuesday, April 17, Montague Avenue at the corner of Westfield Avenue will be ceremoniously named Pat DiNizio. The ceremony will begin at 5:30 pm. A new street sign will be unveiled at that time near Pat’s family home. The local music legend who rose to fame with his band, The Smithereens, during the 1980s, died unexpectedly on December 12, 2017. Pat was proud of his roots in the community and was a 2015 inductee into the Scotch Plains-Fanwood High School Hall of Fame (Class of 1973). His group, The Smithereens, featured DiNizio on vocals and guitar, Jim Babjak (guitar and vocals), Mike Mesaros (bass and vocals) and Dennis Diken (drums). The band was best known for the hit songs "Only a Memory" and “A Girl Like You,” which peaked at #38 on the U.S. Billboard Hot 100 chart. “It was a pleasure and a privilege to see Pat perform in Scotch Plains this past summer, said Mayor Al Smith.